Dignity Health Sports Park, Los Angeles, California. I think Quakes is fine. We've got a pro team and a college team named the Hurricanes. We have the Iowa State Cyclones. Powerful natural phenomena are great ideas. When was the last devastating quake in LA? You get more twisters and hurricanes in the mid west and east coast than you do powerful quakes in LA. Now, Wildfires I'd agree with you. That's too recent and too frequent and likely too sensitive. For LA I tend to think of the obvious - Hollywood. Then I was thinking of something to do with orange growers and oddly that got me to think of the Rocketeer. Set in 40s/50s LA - the golden age of Hollywood. And I started to think of a guy like Howard Hughes. LA Aviators. Or Wingmen. Or Aces. Give the whole thing a 40s prop dog fighter look. The Quakes is already the name of a minor league baseball team in nearby Rancho Cucamonga. Doesn't necessarily rule that name out but I think makes it less likely. Another name in a similar vein that was suggested on reddit is the Shock or Shocks. Sabercats seems to be the prevailing name so far. It makes sense and is a perfectly respectable name but for some reason I just find it underwhelming. Maybe I'm just wanting something more original since this was already an Arena league name. Aviators is a cool name but I'm not sure many people would make the connection to LA. I'm the end I don't care that much but I guess of all the names floated so far I'd prefer the LA Shocks. SabreCats sounds like a low level minor league team. Then again, the XFL isn't going to be the NFL. That said, there is not reason to settle for an underwhelming name. Isn't the LA Shocks a bit too close to the LA Chargers? Hadn't made that connection. Shocks would be more in reference to aftershocks but I suppose such a name would lend itself well toward a bolt-themed logo, which would be a problem. I'm not married to the name. Just haven't heard anything else that really jumps out at me. Please no Quakes, naturally disasters, etc!!! Would like the throwback to the Xtreme, if only to provide some built in history. I'm all in on area representative animals or tribes. My vote is for the Condors (California specifically). 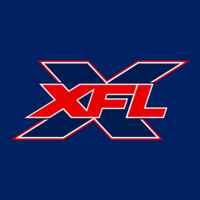 In the logo I'd like for them to include a nod to the old XFL by strategically placing the old extreme logo somewhere, incorporating it with the new mascot. Either way I looking forward to a Mascot to cheer for loudly! and gear to wear proudly! The AAF with the "Fleet" failed this California miserably. I've started thinking Cougars would be a fitting name. A nod to the mountain lion population in SoCal and a cheeky reference to Hollywood's socialite culture. Honestly, though, all these traditional-sounding names just aren't catching my interest. Xtreme would be great but it's just not going to happen. It would be great if the league could come up with a completely unique team-branding approach whilst staying away from the 2001-style names. No clue what that could be. Condors would be a tremendous name with a potential great logo. I know Vince is no longer the "Mr. McMahon" of old......and in the new improved XFL .....even a throwback name like "Xtreme" might be too improper. But the Los Angeles Xtreme were the champions......I liked the logo...... some kind of connection to the old league wouldn't be a terrible idea. Why not start by rebooting the champs? I actually agree; I think bringing back the champs would be cool, and would actually help reinforce that wins matter. I don't think there's any chance it happens; they clearly are seeking a clean break. But maybe at least throwback uniforms at some point? At the very least, they should have "reigning XFL champions" on their Twitter bio. Here is the LA Avengers, top vote getter for LA, using an alternate logo from the Arena Football League team. In case you didn't know......"Gato" is a spanish/portuguese word for "Cat". The helmet could use some work but I like the name/concept.